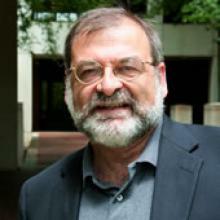 James E. Moliterno is the Vincent Bradford Professor of Law at Washington and Lee University School of Law. He has a leadership role in W&L’s third year curriculum reform. For 21 years prior to joining the W&L faculty in 2009, he was the Tazewell Taylor Professor of Law, Director of the Legal Skills Program, and Director of Clinical Programs at the College of William & Mary, serving also as Vice Dean from 1997-2000. He has taught legal ethics courses and professional skills courses at six law schools over the past thirty years. A member of the American Law Institute, he has held committee leadership roles in both AALS and the ABA. He was the 2012 recipient of the Rebuilding Justice Award from IAALS in recognition of his career-long legal education reform work. He is author or co-author of ten books and numerous articles on legal ethics and the teaching of legal ethics. The William & Mary Legal Skills Program, under his direction, was recognized as a model for the teaching of professional skills and ethics, receiving the inaugural ABA Gambrell Professionalism Award in 1991. He has engaged in substantial international legal ethics and legal education reform work, designing new lawyer and judge ethics courses in Serbia, Armenia, Georgia, Czech Republic, Japan, Indonesia and Thailand. He has trained law professors in China, Thailand, Georgia, Armenia and Serbia. He has trained judges in Kosove and both judges and prosecutors in Indonesia. He has worked to revise the lawyer ethics code in Thailand and Georgia and lectured extensively on international lawyer ethics topics in Spain, Czech Republic, and Slovakia. He has prepared course materials that are in use in Serbia, Armenia, Thailand, Czech Republic, Japan, Australia, Indonesia, and China.